Sergio Gomez's Artwork Archive portfolio gallery integrated with his website. Website integrations are one of Artwork Archive’s powerful publishing options to display your art online. The online gallery from your public profile can be embedded into any page on your website, allowing your collectors to view your available inventory without leaving your website. Website integration helps you seamlessly join Artwork Archive with your existing branded website and allows for the flow of information between the two. The embedded gallery is brandless and fits seamlessly into most web pages. By embedding your portfolio on your website, you can sync your online gallery (if the work is sold, information about the work etc.) with your running inventory of works with a click of a button. You can think of your website as the front store window of your works for your customers and Artwork Archive as the back-office inventory system where you manage the details, bookkeeping, and administrative tasks. Let’s take a look at the basics of integrating your Artwork Archive portfolio with your website. Why do you want to embed your Artwork Archive portfolio on your website? The biggest draw is that website integrations eliminate the duplication of data entry and tasks related to your online gallery. It helps automate your processes while allowing your to professionally display your artwork. Plus, you are in control of when you publish each artwork with just the click of a button. If you choose to unpublish that work, unlike on most web-hosting platforms, that information isn’t lost—it remains in your inventory for your records. Who should use the web embed? Artists who want to instantly publish their artwork to their website should use website integrations. 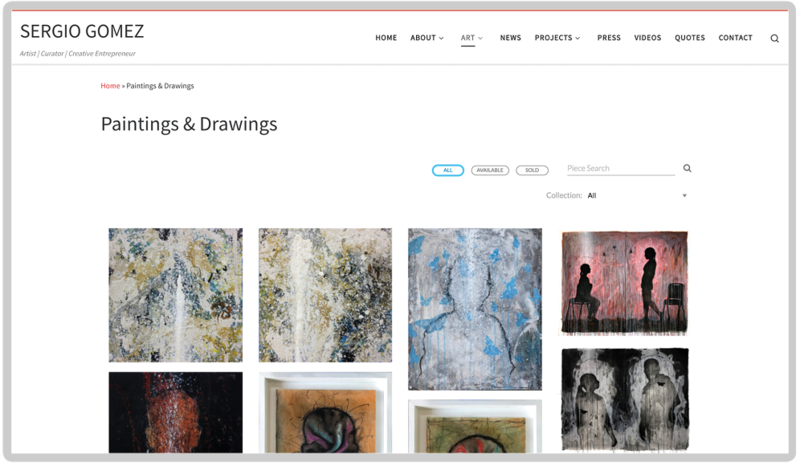 If you want to embed a gallery of your artworks on your website that you can control from your inventory, website integrations are a great way to merge the two and work from one primary platform. 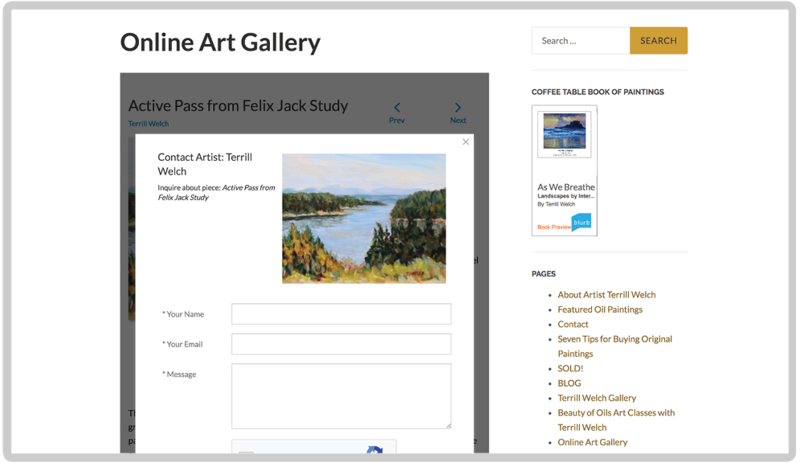 Maintain an active inventory of your artworks, the details about them, and where they are showing and publish them on your website in a clean, simple and beautiful online gallery with website integrations. What will the gallery look like? We understand that how your present your work online is a huge aspect of running your art business and growing your art career. That’s why we made a simple, clean and brandless gallery embed. This allows you to show off what really matters—your artwork. 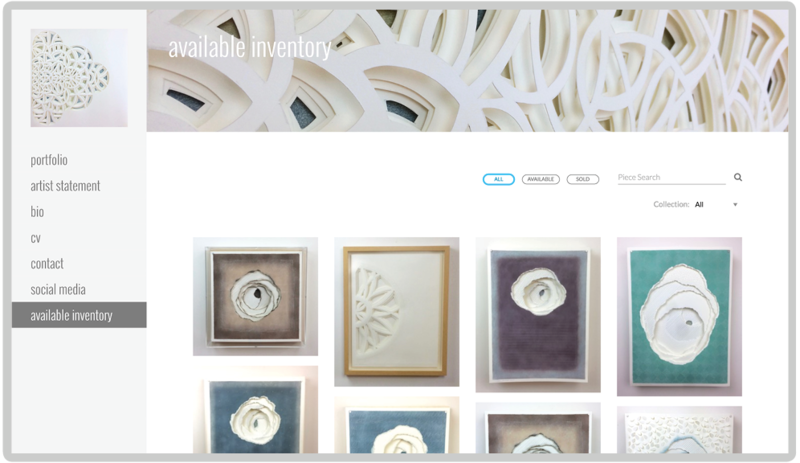 Artwork Archive’s website integration allows you to display your work by availability and collections. Collectors can inquire about your artwork and you can link to your favorite shopping cart platform from Artwork Archive. Artist Krista Rueter’s Artwork Archive portfolio is a great example of a beautiful portfolio embedded on her personal website. “The integrations aspect to include Artwork Archive on my site was a breeze,” Krista said. Krista Rueter's Artwork Archive portfolio gallery integrated with her website. How do I set it up and long will it take? It should take less than a few minutes to integrate your Artwork Archive portfolio with your website. The Artwork Archive public profile can be installed on virtually any website using the universal embed code which you can find here if you are an Artwork Archive artist. If you have access to the HTML on your site, it’s as easy as entering a small snippet of code into the text of your page where you want to place your portfolio. You still have control over which pieces and what information you want to publish on your portfolio through your settings in Artwork Archive. Once you hit publish, your portfolio will be seamlessly presented and updated on your website. Artist Tatjana Mirkov-Popovicki said, "I added Artwork Archive to my WordPress website and it looks awesome!" 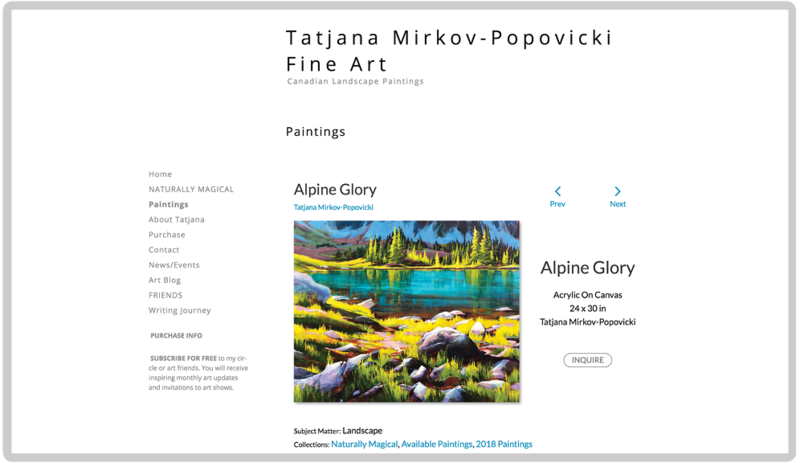 An example of the individual piece page of Tatjana Mirkov-Popovicki's portfolio integrated on her website. 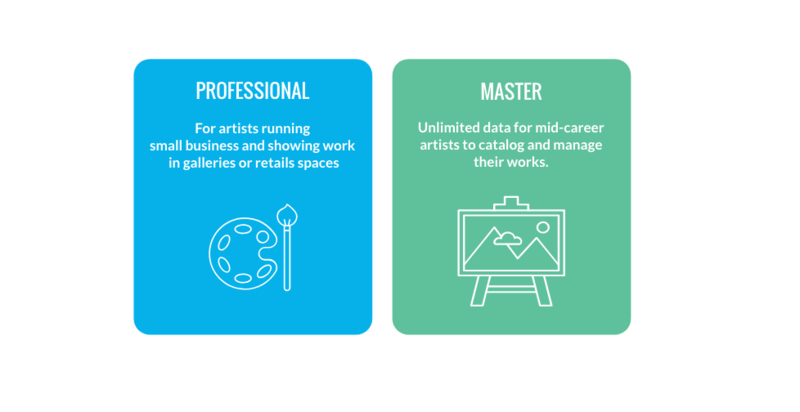 Manage your business, clients, shows, and sales, plus your online art portfolio from one, intuitive tool. Website integrations help you effortlessly sync your artwork and collections to your website. Interested collectors can contact you directly through the gallery and inquire about specific pieces. “What a win! I just did the updates and I am so thrilled, Doing the happy dance all around the loft studio,” said artist Terrill Welch. An example of the inquire function on Terrill Welch's portfolio integrated on her website.